Happy New Year! It’s taken me a while to post but I wanted to come into the new year with a fresh mindset and more mommy related. No better way to do my first blog post of the year with Pura Stainless! I have had these for a little over three weeks and in that time in SoCal, we had cool weather and extremely hot weather (Gotta love California!) I truly wanted to put these babies to the test. 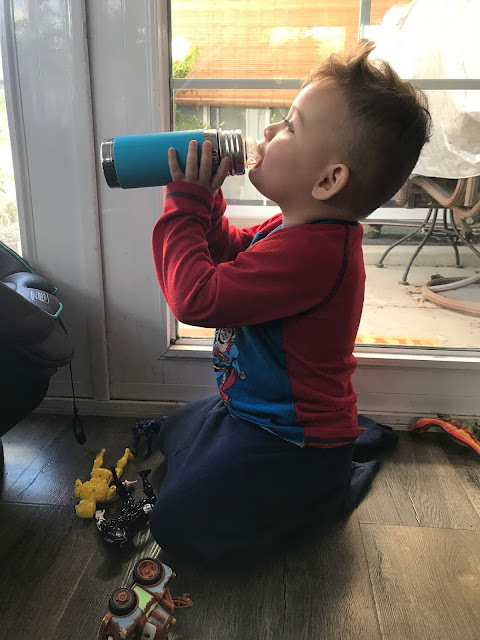 Noah is almost two and is super picky about what sippy cup he drinks from now (Rolls eyes) and me with my runs, I thought, this was a perfect product to be testing. 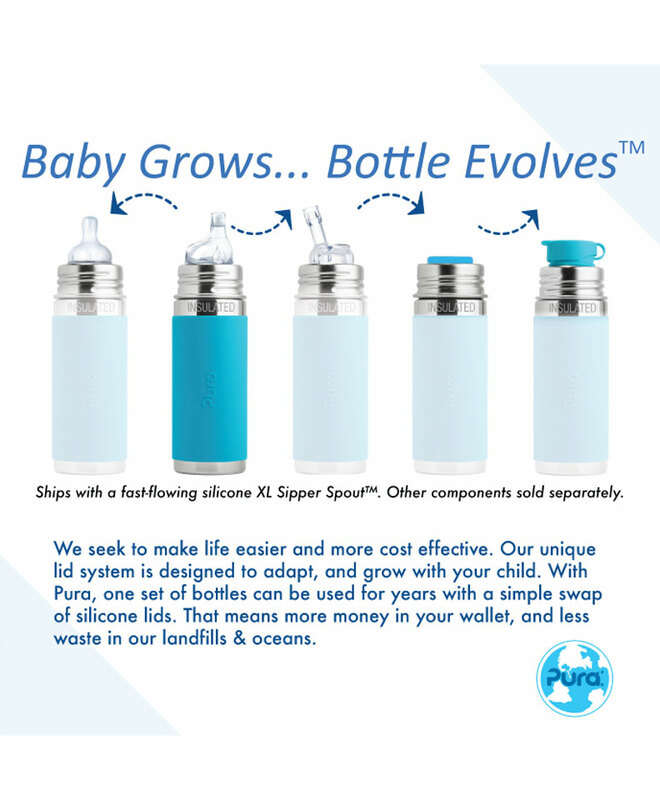 Pura is 100% plastic-free and their bottles grow with your family and their needs. 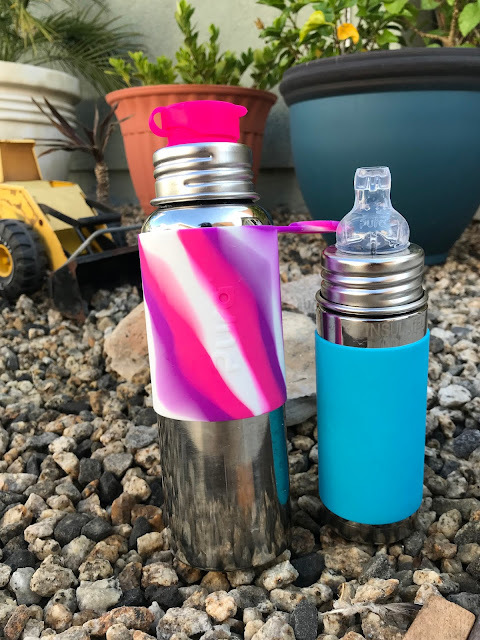 They range from 5 oz to 28 oz and are silicone free. You can grab any bottle, any color for any occasion. Noah got the 90z vacuum insulated Toddler Sippy Bottle Pura Kiki in Aqua , found HERE. 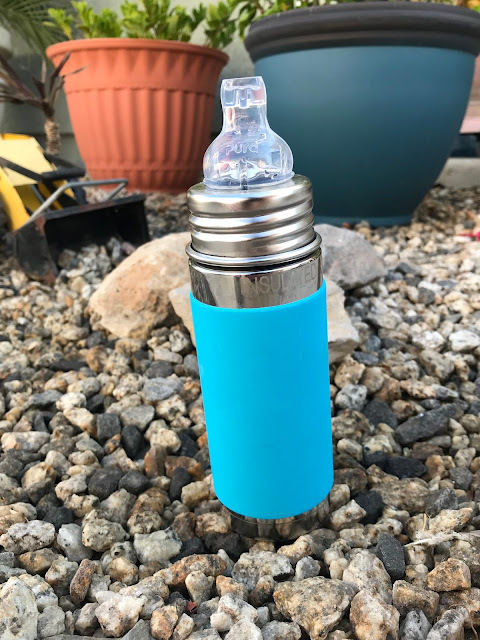 What’s so cool about this sippy bottle is that it can grow with him and all I have to do is purchase the different sprouts. Yes! You can purchase different sprouts! Now on to me! You know I gotta let my baby shine first. I was sent the Pura Sport 28 oz found HERE. I am super picky when it comes to my workouts. 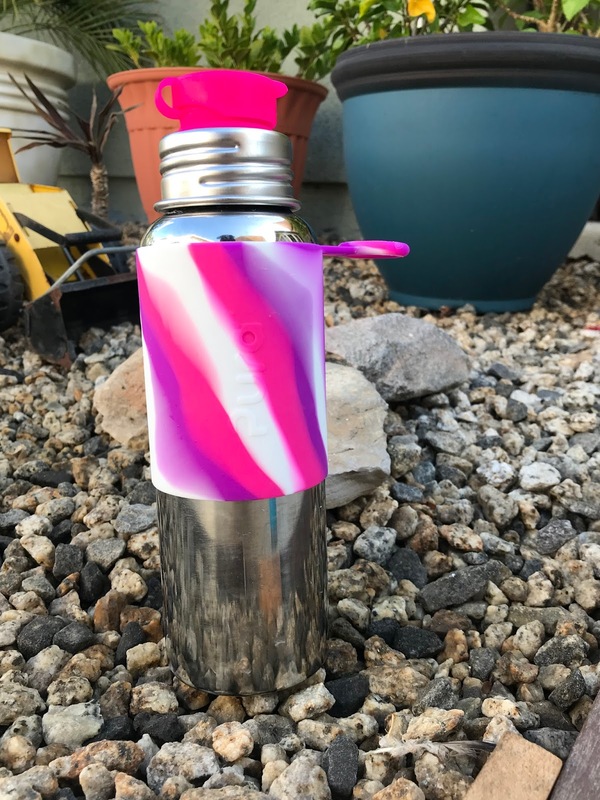 Every water bottle has melted my ice within seconds no matter what ind of weather we had. Which is frustration when you are in the heat. During the three weeks I put this baby to the test, we had cold weather, warm weather and hot weather. Each weather condition didn’t affect my water and ice! My ice stayed frozen and my water cold! Which was a super plus for me! The sleeve made it so easy to grip and I even hooked it on to my stroller. 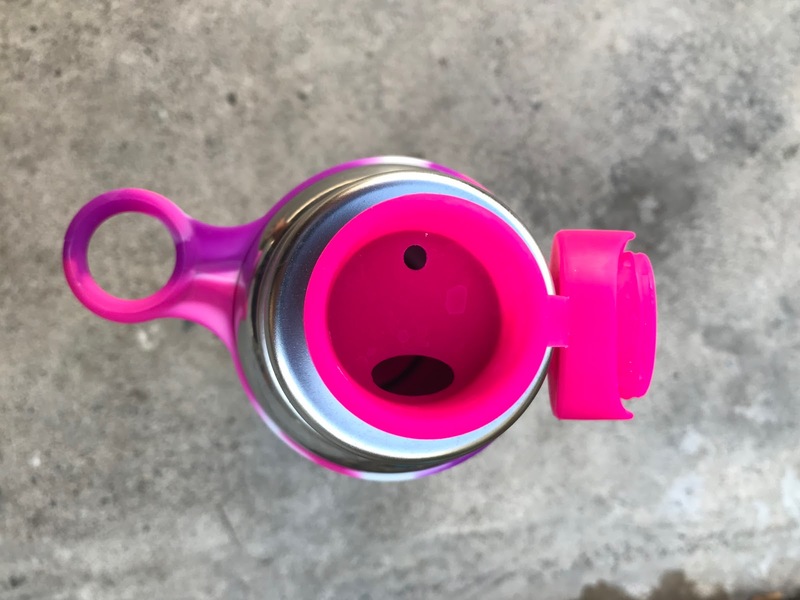 The big mouth sport top allowed water to flow and was soft. The was no water dripping from the water bottle like most, which meant it kept me dry and my hands dry. You will not be disappointed with Pura Stainless products. 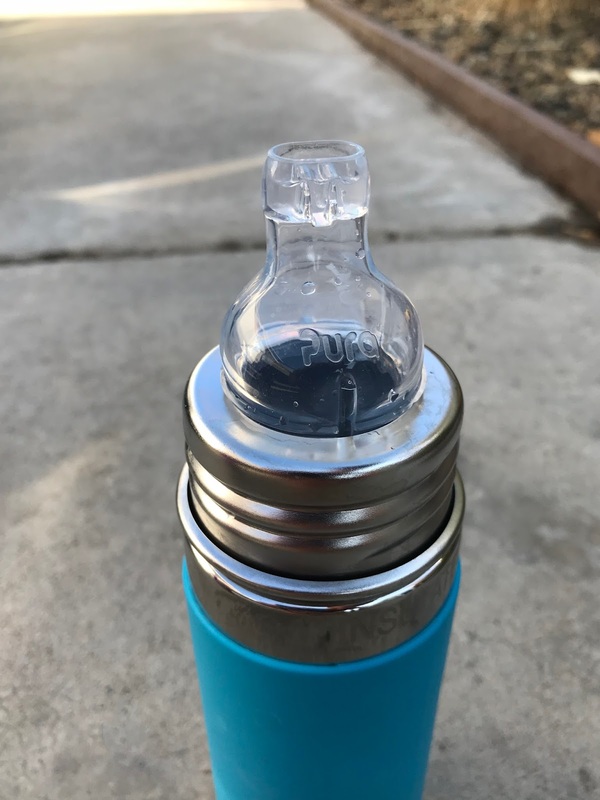 I have never been so in love with a water bottle and a toddler sippy bottle in all my years I have ran and the almost two years I have been a mother. It doesnt matter if you are looking for a water bottle for yourself, your kid, kids or even your whole family, thier water bottles fit every ones needs in any environment.